If you’ve ever admired the windows in an older home, you may have noticed that the glass appears to have subtle waves in it. These wavy windows are very common in homes built before the turn of the 20th century that still have their original window panes. In most cases, it’s an indication that the windows are well over 100 years old and were made using glass-blowing techniques that aren’t widely utilized anymore. During the 19th century, craftsmen created windows and other glass products by manually spinning molten glass on a blow pipe, which produced glass with a wavy quality. The process made it hard for glass manufacturers to create windows that had a uniform look, but it added a touch of character that you won’t find in many windows today. The only problem with wavy antique window panes is that they aren’t nearly as energy efficient as modern windows. These windows tend to be prone to drafts, and they can make it hard for HVAC systems to regulate the temperature inside a home on especially hot or cold days. 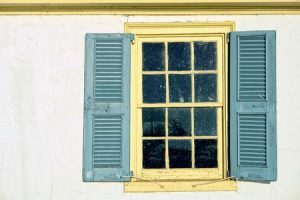 Despite their practical drawbacks, some homeowners prefer to preserve the wavy windows in historic homes for aesthetic purposes. Although modern windows don’t have this wavy quality, they do offer a host of other valuable benefits such as energy-saving seals and coatings. To learn more about all the modern window glass options we offer at Affordable Glass & Mirror, feel free to give us a call or contact us online today!